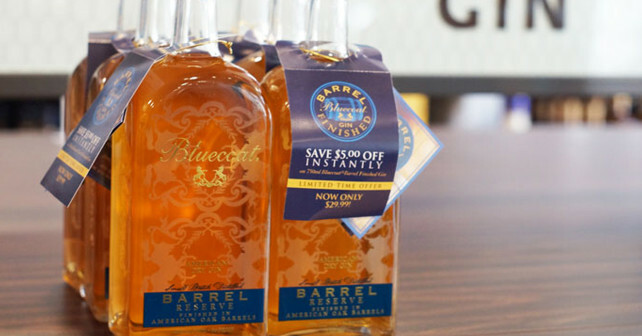 This week in gin: Philadelphia Distilling, one of our personal favorite distilleries (we may be a little biased) has released a limited edition barrel aged gin, and now they have the unenviable task of selling out of product in PLCB stores in order to stay on the shelves. We’ve got a whole load of things to taste and experiment with this coming weekend, and Bluecoat Barrel Reserve is at the top our expectation heap. In the meantime, if you think you might be interested and live in Pennsylvania, you might want to head out and grab a bottle before it’s gone forever. I haven’t tasted it yet, but if the unaged spirit is any indication, it should be pretty delicious. But hurry, there are only two days left! At the time of this writing, there’s still 1 bottle left at 11th and Wharton, 9 bottles at 7th and South, and a whole bunch at 43rd and Chestnut for you Philly folks. You can check for yourself on the PA Wine & Spirits website. Look for our full review and experiments next week. I have to try this Gin directly. Thx for good stuff information.